St John Bosco was a follower of the spirituality and philosophy of Saint Francis de Sales. St John Bosco developed teaching methods based on love rather than punishment, a method that became known as the Salesian Preventive System. St John Bosco dedicated his works to St Francis when he founded the Salesians of Don Bosco. St Francis became noted for his deep faith and his gentle approach to the religious divisions in his land. 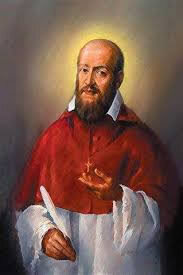 He is known also for his writings on the topic of spiritual direction and spiritual formation. 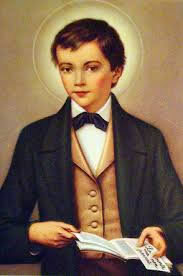 St Dominic Savio is one of the few teenage saints in the history of the Church. He attended the school of St John Bosco, who personally guided Dominic's human and Christian development. Dominic’s life is a great example for all members of the College community. He was a young man whose short life was dedicated to loving and serving God by actively fulfilling his responsibilities as a Christian, a friend and a student. His dedication to his studies, his loyalty as a friend, the generosity of his service to others and his love of God have inspired generations of young people throughout the world to love with an attitude of excellence and service, men and women for others. Young Dominic Savio is the first fruit of the Preventive System. 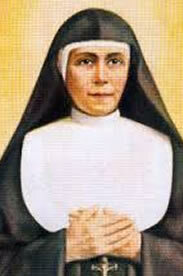 With the assistance of St Maria Domenica Mazzarello, St John Bosco founded the Institute of the Daughters of Mary Help of Christians, a religious congregation of nuns dedicated to the care and education of poor girls. The Daughters of Mary Help of Christians have spread throughout the entire world in the service of young people, of the poor and suffering, with schools of every type and level, technical and professional institutes, hospitals, dispensaries, oratories and parishes. 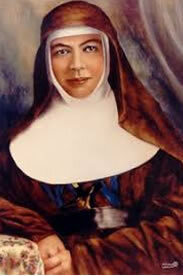 St Mary MacKillop is Australia's first saint. She came from a poor family and early in her life, worked as a shopkeeper and teacher to support her family. Later she moved to South Australia and founded the Sisters of St Joseph, a religious order devoted to education, nursing and welfare in impoverished areas in large cities and the outback. Mary MacKillop's life is a great example for all members of the community. She was a woman who dedicated herself to serving God and others and a woman who lived the Gospel through her service of the poor and those in need, especially through education.